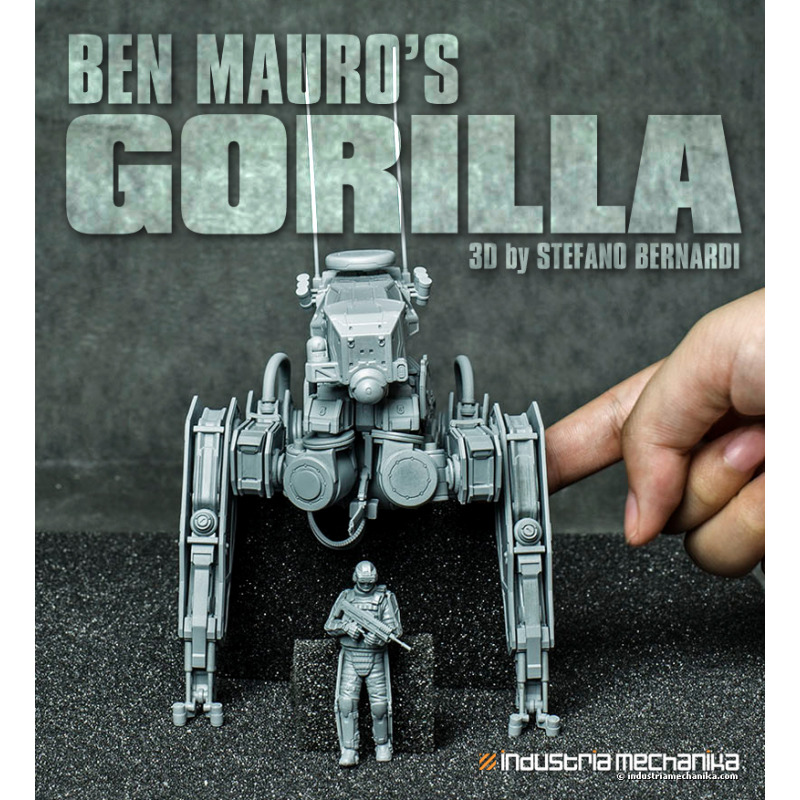 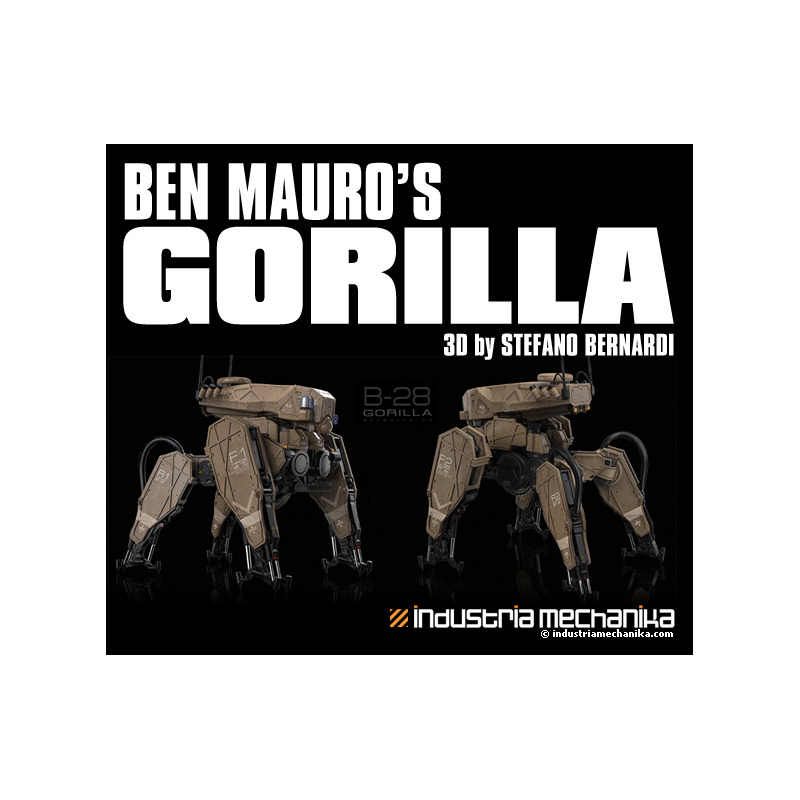 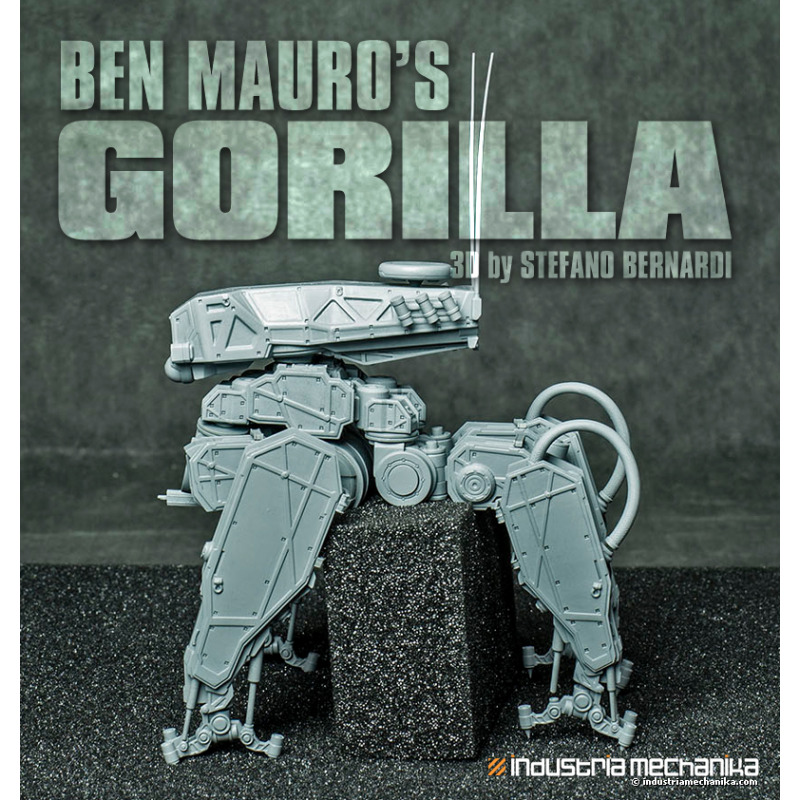 From concept artist Ben Mauro and 3D artist Stefano Bernardi comes the 1/35 Gorilla. 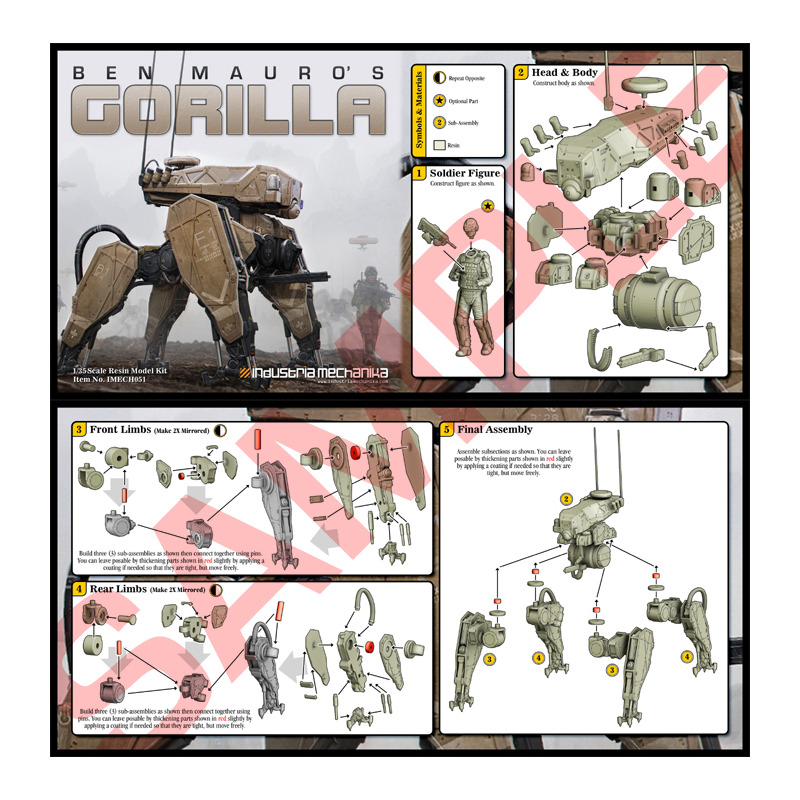 This drone mecha comes with additional figure and waterslide decals. From concept artist Ben Mauro and 3D artist Stefano Bernardi comes the 1/35 Gorilla. 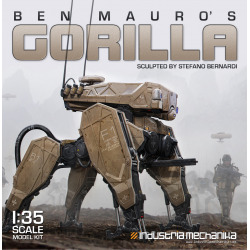 This drone mecha comes with additional figure.